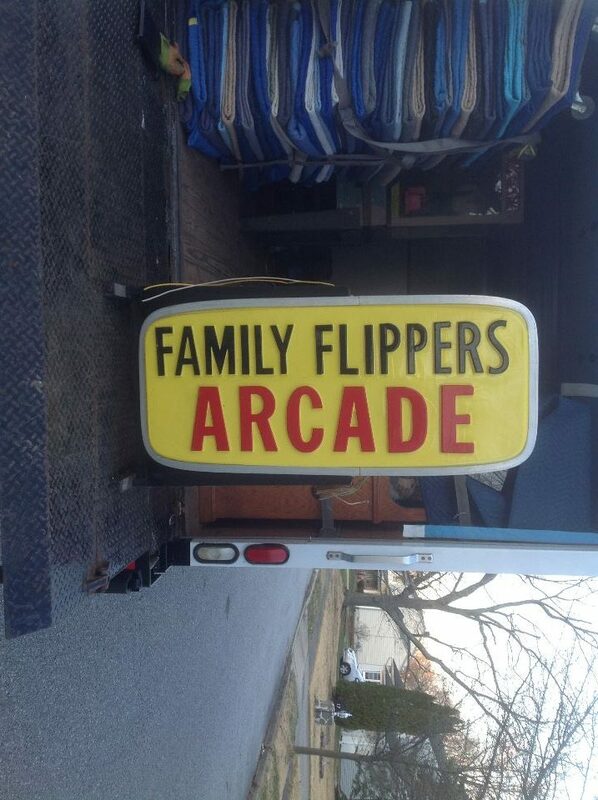 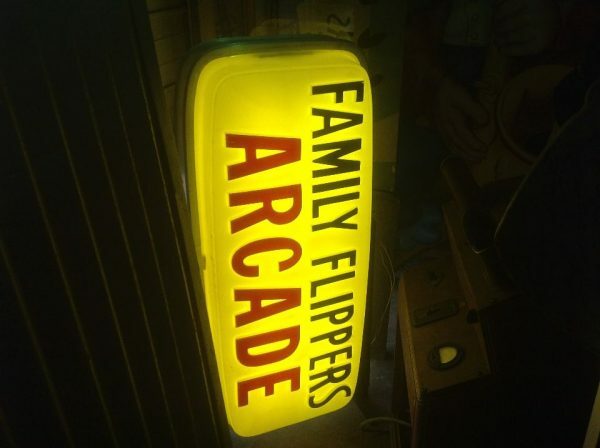 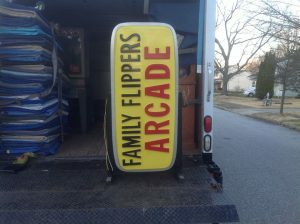 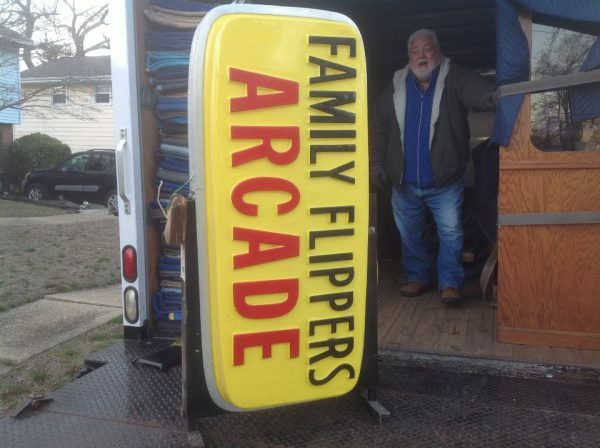 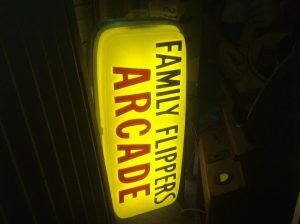 Vintage double sided family flippers arcade sign in as found working condition. 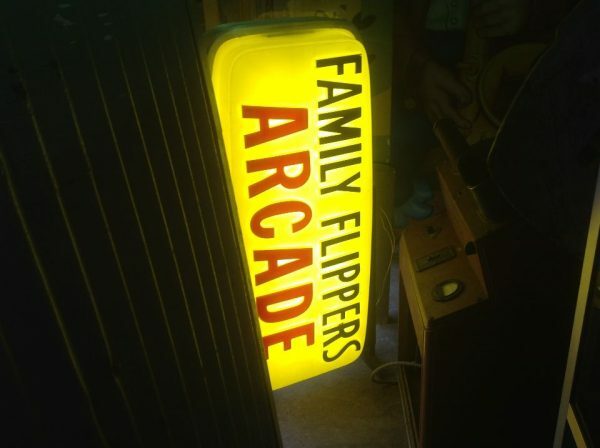 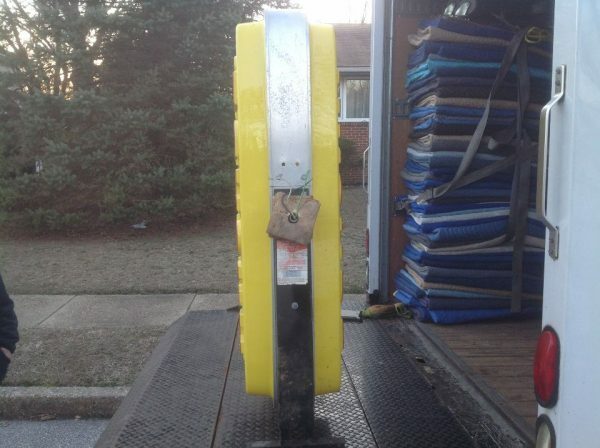 Sign measures 52 1/2 ” long x 26 ” wide x 13″ deep. 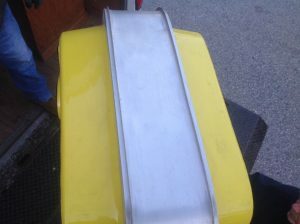 Looks to be NOS, never installed. 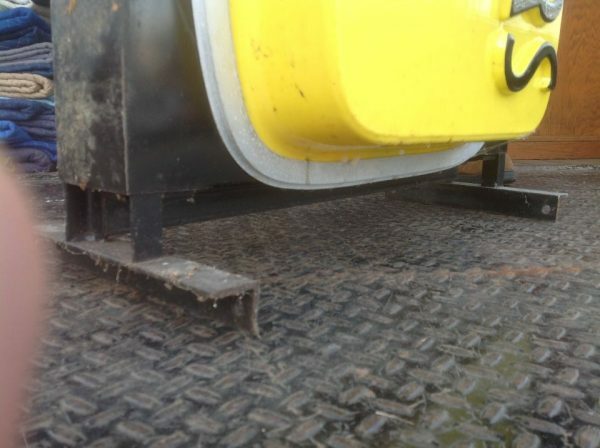 Dated 1982……….